When summer comes around Sindy and her best friends pull on their wellies, pack up a tent and head to their favourite music festival. Sindy and her pals are mad about music and crazy about camping. The sunshine makes everyone happier. But even the rain can’t put a dampener on Sindy and her friends’ fun. As long as the bands have a beat, they will dance for hours. Sindy always packs a few essentials, including plenty of snacks to give her energy. Nutty chocolate bars and crunchy apples are Sindy’s festival favourites. Of course, Sindy loves to look good but keeps her festival wardrobe simple. 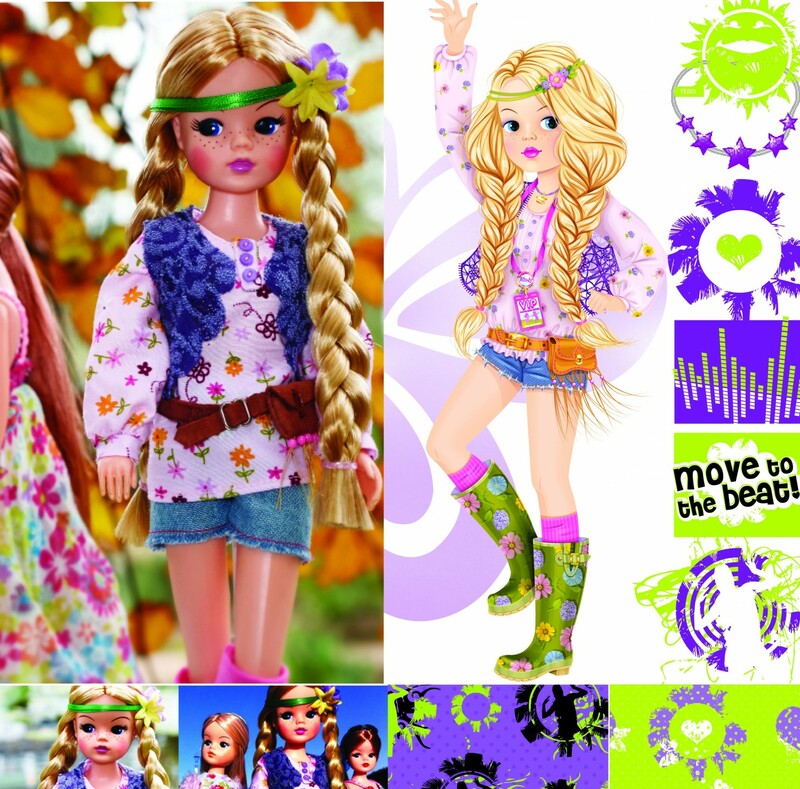 As long as she has her funky wellies, denim shorts, pretty top and flower headband, Sindy knows she’s ready to rock!